95% completed but already in operation, the 202km long Olympia Odos Motorway was opened by the Greek Prime Minister on April 11th. The project has been under construction for 8 and a half years, overcoming the challenging geological and geotechnical conditions. The main contractors for this project were the technical companies AKTOR S.A., J & P AVAX S.A. and TERNA S.A. The Olympia Odos Motorway is one of the country’s most strategic roads: leading to Patra, it brings one of Greece’s largest ports closer to the capital, while efficiently interconnecting three different regions of the mainland. 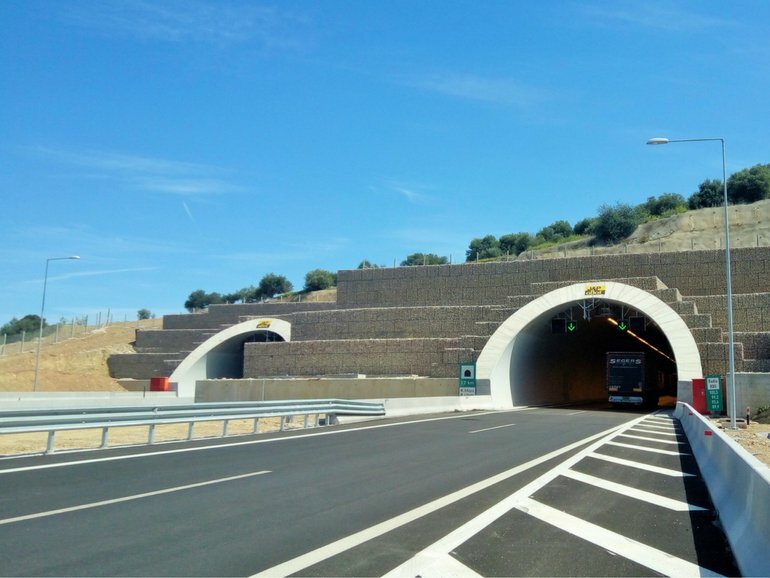 There is no doubt that it was the most challenging project regarding the new motorway network in Greece as it was constructed under traffic and had to overcome severe geological and geotechnical difficulties. The motorway required the construction of 350 major structures, including tunnels, bridges, overpasses and underpasses. The Korinthos – Patra section was constructed in a particularly unstable geological environment. About 400 retaining structures were constructed in this section of the motorway alone. We have also provided technical advice to the designers of this project. Travelling from Athens to Patra on the new motorway now only takes approximately 1 hour and 40 minutes and commuters can be assured of a high-level of road safety owing to our technical solutions.